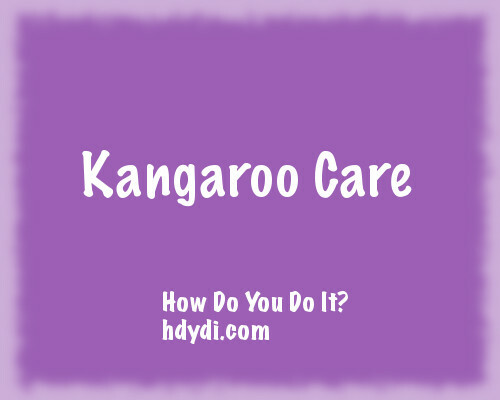 Kangaroo Care: Ask For It | How Do You Do It? After my first set of twins were born at 33 weeks and I was in the throes of a magnesium drip as well as recovering from a c-section, I had to wait 24 hours before I could see my babies. Scott had snapped a quick picture of the nurses holding the babies next to my head immediately after their birth. Later, as I was in the recovery room, he snuck video of the babies in the NICU. Marc’s plaintive cry sounded like a wounded animal. The morning after their birth, still not having seen them, and feeling so disoriented, I couldn’t even remember what we named our daughter. When the neonatologist came into my room to tell me that Marc’s lung had collapsed and he had to be intubated, I couldn’t process what she was saying… and I couldn’t remember my husband’s cell phone number to call him and tell him that our son was in trouble. When I was finally able to see my babies, I remember feeling so disconnected as I walked into the NICU. Scott seemed to have bonded with them and had established a rapport with the nurses. I felt out of place, in shock and lost. In my anger and frustration and confusion, I remember lashing out at Scott, “They are more your babies than they are mine!” In fact, these babies seemed like everyone else’s–my husband’s and the nurses who were caring for them–rather than my own. I felt like I had no role in their care. I wasn’t allowed to hold them… and I definitely wasn’t allowed to attempt to nurse them when even their sucking reflex was not developed. In looking back, I now wonder if the doctors and nurse had immediately encouraged kangaroo care, the placing of a naked baby on to the mother’s bare chest for skin-to-skin contact, if I would have felt differently. Would I have bonded quicker with my babies? Would my son, Marc, felt comforted and secure? Would I have seen that my place in that NICU was just as important for those babies’ health as the doctors’ and nurses’ roles? Would I have felt less guilty about not carrying the babies to term? I read this article recently about how a premature infant, thought to be dead, was placed naked on his mother’s naked chest. The baby revived and survived and thrived. While kangaroo care cannot resurrect the dead, its benefits for both baby and mother are shown in various studies and anecdotal stories. What I didn’t know until I read this article was that babies who are placed in kangaroo care before a procedure, even if it is a heel stick, are calmer and feel less pain. And, the mother also benefits. She shares an intimacy with her baby, feels more confident about caring for the baby, and becomes an integral part of the NICU team. I think of my last baby, Dylan, who had two spinal taps because of an unknown infection. I was nowhere near him to comfort him before or after the procedures with skin-to-skin touch. How much better it would have been for both of us had we had that time before and after the procedure. How much I wish I could go back to those times and insist on kangaroo care–and insist that before any procedures I would be allowed to hold my babies skin-to-skin. 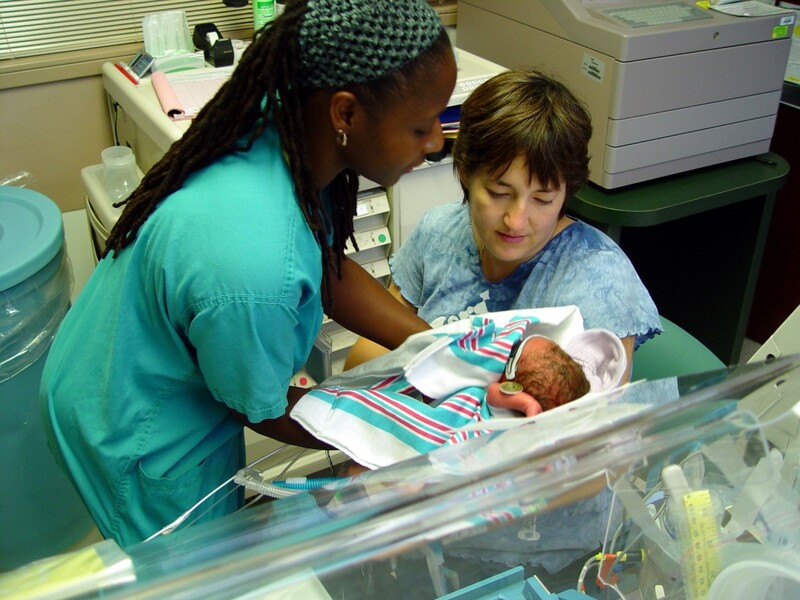 Did you provide kangaroo care to your newborns? Michelle is the mom of five sweet kiddos — two sets of twins, born at 33 weeks and 36 weeks, and a singleton, also born at 36 weeks — all proud NICU graduates. She blogs about her family’s adventures and her journey through motherhood at Twins Times Two. Before my girls were born, I had read a lot about the importance of skin-to-skin contact for newborns. I didn’t realize until my girls were born how important that is for parents, too. 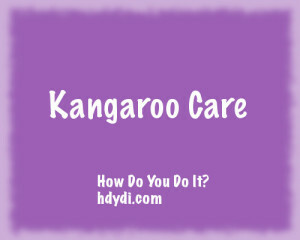 I love your post as a reminder to ASK for kangaroo care if it’s not offered to you. I know some families have to wait for a while, given the nature of their baby’s complications, but I know it is a very special experience as soon as it’s possible. I might add, the nurses in our NICU were good about taking pictures for the families. Moms might think to request that the nurse take their picture doing kangaroo care…it’s something sweet to hold onto when you’re away from your baby. We were allowed and invited to provide kangaroo care. It’s the closest I came to feeling like I could put my babies back in my womb, but what was even better was the Daddy could provide the same care to the other twin at the same time. Good for baby and Daddy too! What an amazing story in the article!!! I didn’t know abt this when mine were born. We were allowed to touch them, didn’t even see Leila’s face for the first two weeks and was able to hold her much later. 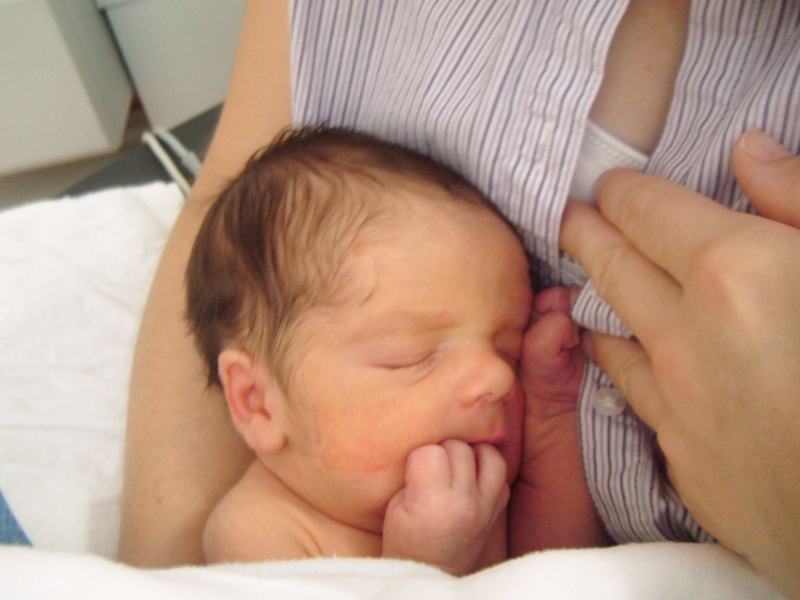 Our nurses in Hong Kong encouraged breast milk and breast feeding, but not kangaroo care. So yeah, ask for it!! 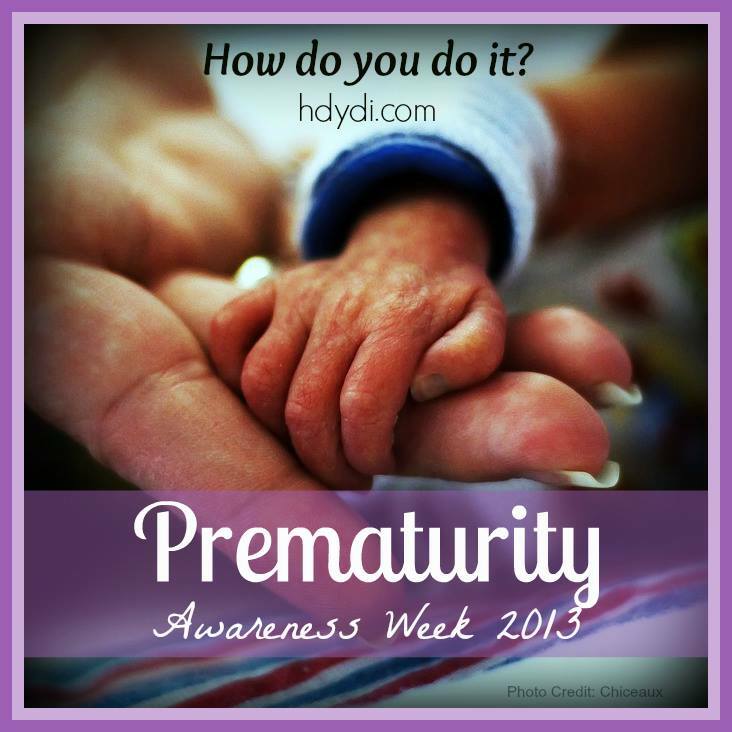 Pingback: J and M’s NICU Story: Two Steps Forward, One Step Back - How Do You Do It? 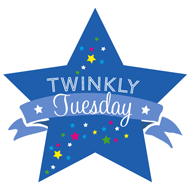 Pingback: Twinfant Tuesday: Tabula Rasa - How Do You Do It?